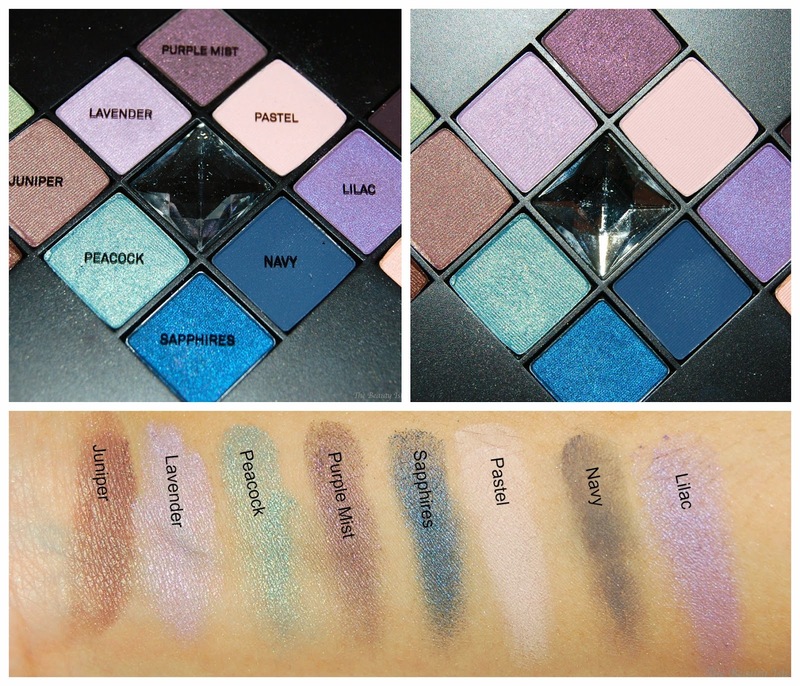 Today I bring you the Smashbox On The Rocks Photo Op Eye Shadow Luxe Palette which is a limited edition holiday eye shadow palette that has fallen under the radar. In fact, most Smashbox items fall under the radar in my opinion. Although I know Smashbox to be a good high end makeup brand, for some reason, I just don't own anything from them. I received this palette from my blogging bestie Tanya as a Christmas gift and this girl knows me well! I prefer bold jewel tones over neutrals and this palette has just that! I will admit, the packaging of this palette is rather bulky. It's about a half an inch thick and fairly heavy. It's really pretty though with the silver lettering and the pictures of jewels. It has a magnetized closure and a nice mirror on the lid. The most annoying thing is that like the Too Faced Chocolate Bar Palette, the shadow names are on a clear removable plastic sheet which can easily be lost. This palette contains 28 shadows, 8 of which are matte. There are also shadows with a sheen, a shimmer, and even chunky glitter. There are plenty of transitional neutral shades that make this a wonderful go-to palette to create tons of different looks. You've got purples, blues, greens, grays, and even a couple of pink-ish shades. There is little to no fallout with the shadows and the pigmentation is good. Some of the more glittery shades (Moonlight and Midas) don't have great pigmentation. The matte shades are highly pigmented. 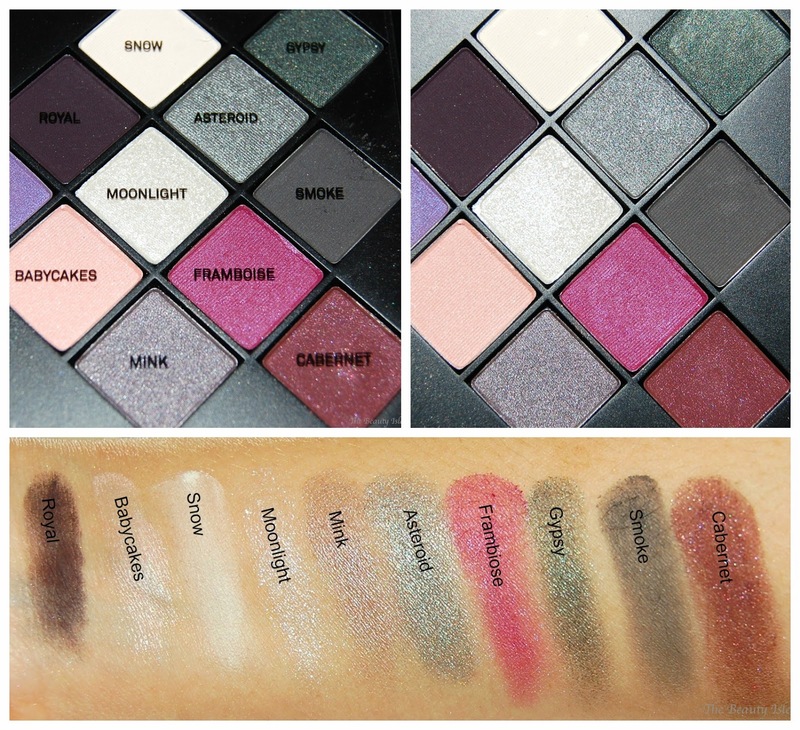 Overall I absolutely LOVE the Smashbox On The Rocks Photo Op Eye Shadow Luxe Palette! So far I've created a neutral look, a fun cranberry look, and a subtle blue look. I see this being my go to palette for a long time! 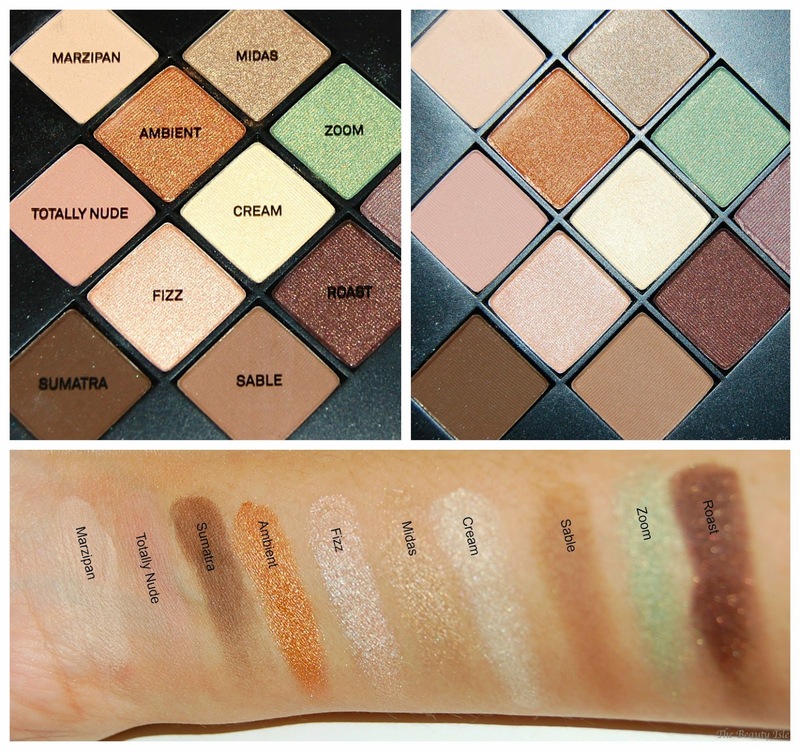 Sidenote: This has everything that I wish the Lorac Mega Pro had. Although the quality of the shadows of the Mega Pro were great, there were just way too many similar shades and not enough variety. This palette has the perfect amount of color variety. This palette retails for $42 but right now it's on sale at Ulta for only $29! If you haven't used your 20% off Ulta coupon yet which expires TONIGHT, you can use that to get this palette for even cheaper. Click here to check out the palette. 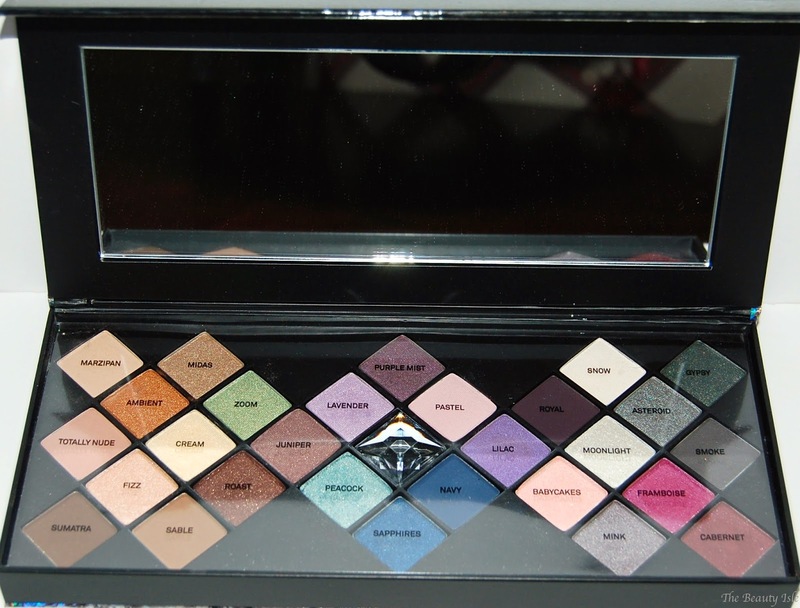 If you are a makeup lover like me and like nice well rounded palettes, this is the one to get!